Police in India’s financial capital Mumbai are battling terrorists who struck in multiple places on Wednesday night killing at least 195 people (including 13 foreigners and 14 policemen) and injuring 327. A previously unknown Islamic organization called Deccan Mujahideen claimed responsibility for the attacks at 11 separate locations. The Indian Army has been pressed into service to assist the Mumbai Police in battling the terrorists and the local authorities are asking residents to stay indoor and not venture out. The situation is still fluid but Indian media is reporting that there were 11 different attacks that began between 9PM-9:15PM local time on Wednesday. 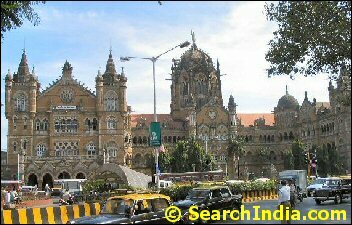 The gunmen fired in the Chhatrapati Shivaji Terminal train station (VT Station) as well as in the vicinity of luxury hotels Taj and Oberoi and two hospitals GT and Cama. 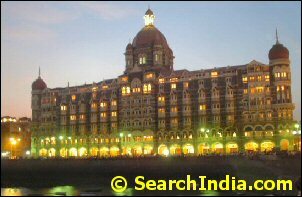 Indian TV channels showed pictures of the Taj in flames as the terrorists battled the security forces holed up there as well as at the Oberoi. There have also been reports of firing at the Ramada Hotel. Indian police say the attackers used AK-47 guns and hand grenades. There are also reports of two hostage situations involving Western nationals. Apparently, the terrorists were said to be looking specifically for British and U.S. nationals. A gas station in Colaba is also said to have been blown up by the gunmen. Media reports say that the Leopold Cafe (mentioned in the bestselling book Shantaram by Gregory David Roberts), located in Colaba and a favorite destination of foreigners, was the first to be attacked. Mumbai city is under lock-down with most roads closed. Cellphone and local telephone services are said to have been hit and many parts of the city wore a completely deserted look. Maharashta Policeâ€™s Anti-Terrorism Squad chief Hemant Karkare of the elite Indian Police Service was killed in a shoot-out with the terrorists. A total of 14 policemen lost their lives in the battle in which several gunmen were killed. Mumbai has previously been the site of two other major attacks – On July 11, 2006 terrorists placed multiple bombs on several Mumbai trains that killed 209 and injured over 700. More than a decade earlier, on March 12, 1993 Mumbai was rocked by a series of blasts that left over 250 dead and more than 700 hurt. Besides Mumbai, other Indian cities like Delhi, Jaipur and Hyderabad have also borne the brunt of terrorist violence over the last few years. Meanwhile in the U.S., the FBI is warning against possible attacks on the New York Subway, Long Island Rail Road and Amtrak. Who the Heck is Deccan Mujahideen? 31 Responses to "Terrorists Strike Mumbai Again; 195 Killed; 327 Injured"
Die a slow tortuous death you b******* and get out of the country if you don’t like it. This is so frustrating. If Churchill were alive, he’d describe it as just the beginning of the beginning. It’s impossible to counter any guerrilla outfit, which is what the terrorist attacks have now morphed into in India. Some unknown outfit suddenly launches an attack. Things are quiet. A few months later, another group launches another attack in a different city. I’m watching IBN and they say a bunch of terrorists have hijacked police vehicles and are driving around, shooting indiscriminately. How sickening and scary. What has that pansy Manmohan Singh been doing? Pakistan cleaning up ISI, my foot. I don’t buy any talk about NYC attacks on the subway or LIRR or Amtrak, or anywhere else for that matter. When something like this happens in another world city, that is exactly the time when people should jump at the opportunity to do stuff in NYC. Call it reverse psychology, but instead of being afraid of attacks, I would be so sure that systems would be double and triple checked and extra policemen are sent out as a knee jerk reaction to make things ultra safe. I go into NYC for leisure once every few months and off the top of my head, I never felt more safe than in December of 2001, the first time I went into the city after the 9/11 attacks. I would expect nothing less in December 2008. I am expecting to meet some friends who are traveling from England to NYC in three weeks and I wouldn’t hesitate in telling them that they will have a great time and should not be discouraged from traveling because of news like this. That said, these are indeed perilous times. And who knows what will happen where. We’ve always believed that in life live and let live is the best principle. But we guess that’s a quaint, antediluvian notion. The govt was busy debating if POTA is necessary ..if there should be a probe in the encounter related to the Delhi Blast …..
All this pro- minority stand purely for electoral gains …. Its not Pakistan or ISI or Terrorist of any hue responsible for all that which is happening in the country …. it is we ourselves ..who vote for parties like Congress .. Samajwadi ..RJD and all these clowns …who will stoop to any extent to retain power ..
shame to be and Indian…. no place on earth is safe, until we clean these outfits..
Not only in india every where it is islam/muslims. Recently indian media came out with some Hindu terrorist groups involved in malegaon blasts. If it is true then the best thing is to nip the bud before it raises its ugly head. I hope it is not some dirty game played by UPA government to gather some attention. The govt arrested all these people …and the only evidence they have is in the form of confession … so the govt did the next best thing …they thought why not apply MCOCA …under this act …confession is admissible as evidence … BUT to book people under this act ..it has to be proven that he is a habitual offender and hence is capable of committing such crimes …. ALL these people had clean records …SO the Govt then worked backwards …filed cases against them …for some events which happened in the past ….so that they can apply MCOCA … that is when all the groups protested against this and called this victimisation of Hindus ..or something which is done just to gain points over BJP with the coming election in mind ….cases were cooked up against these people ….. Finally they went to court… the first time …court denied bail …second time …the court .. had a simple question – what is the evidence that you have gathered till now — which warrants further custody …..the police were found wanting … they had only confessions ….further torture allegations against the police …so the court denied police custody of the accused …so this now proves what sought of a case this is …..
Few people were arrested for this blast 3 yrs ago …no news about them whatsoever !!!!!. With other groups its always a particular issue …. for example in India … Hindu – Chrisitian riots are over conversions … Hindu or Christian is not out to destroy the entire race …at some point these issues can be sorted out and people can co-exist ..
That’s why Islam is called a Intolerant Faith …. Every act of terror that a Muslim commits ..he attributes it to his religion .. “War against Infidels” , Holy War, Jihad etc …Religion is not known by what is written in books ..but by the way people practice it …that’s why Muslims are called as – Terrorists .. Turning a Nelson’s eye or not accepting facts is not going to change anything …it’s there for all to see and many of us experience it ..
We suspect this comment (particularly the post-Malegaon section) reflects the opinion of a vast chunk of the silent majority of Hindus in India. SI : We suspect this comment (particularly the post-Malegaon section) reflects the opinion of a vast chunk of the silent majority of Hindus in India. Asking for a probe in the arrest related to the Delhi Blast & the subsequent Encounter …wherein the suspects not only confessed – but also said that they are proud because they have done it for a cause .. and given a opportunity they would do it again ..
EX : In the Delhi Blast ..the suspects were hiding in a area know as JAMIA …which is known for such activities ..even after receiving info …the govt did not carry out combing operations …because Muslims might feel bad ..
WHAT is the MUSLIM RESPONSE ????? Quoting passage’s from Quran ..how ISlam is a religion of Peace ?? — IS that so ? Yes, we saw the editorial & the op ed piece by Sadanand Dhume in the WSJ this morning. We might do a separate post later today on the two pieces in WSJ. Nariman House is secure, but 5 hostages + 1 NSG guard are dead and so are the 2 terrorists. 2 Americans (daughter-father) from Virginia, who were reported missing yesterday at the Oberoi, are also dead. Why are Pakistanis successful in creating mayhem in India …many reasons ..one of them is local support ..i mean Indian Muslims … a fact which cannot be denied .. numbers are debatable …people will say ..all muslims dont do ..only some do ..dont blame the community etc etc . Mohan Chand Sharma (Police ) dies …Muslims allege…police staged a encounter and killed him by miistake !!!!! Muslims lined up as lawyers to fight that b******’s case. Get this very clear …except for that INNOCENT BOY …rest all are ordinary citizens ..not people who are active workers of some party or outfit ..
Let’s be practical …There are constraints to what one can do …of course Proponents of Hindutva can join Govt Insititutions and then screw Pakistan in their official capacity …. Mumbai Police says there’s no evidence of local support. Search India : Since you love to hate Kollywood ..this is for you …you did not do a post for this ?? Stop writing rubbish. Disagreement is not the same as hating. 2. Once you’ve provided the link to a story, do not post a verbatim copy of the content from the site. Excerpts from a story are fine but not the full story. all those people slating islam should take a look at themselves just like them terrorists. the terrorists are NOT muslims, they use islam as a cover for their horrendous and awful actions. But im sure you should know by now (whatever age you lot are) that you cant say ”oh they are all the same” that is just mindless, stupid thinking. All i have to say is get real, muslims are not to blame, its these so called muslims that are extremists, actions which we all truly condemn, and people who dont, well they’re the same as them extremists then. I can understand the pain and hurt the people in Mumbai must be feeling, if any of you are reading my message, i would like to say i hope you recover from this and i hope the evil organisers of this sickening crime are hunted down and hanged. We can all learn from this experience and we know to stop this evil we need to destroy these terrorist organisations. SI : Mumbai Police says thereâ€™s no evidence of local support. Attackers had full knowledge of the entire area …hotels …entry and exit points …they got everything they needed …all this is not possible without local support …this was said by the NSG commandos themselves …evidence will unravel as the probe continues…. We have a enemy (Muslims) within the country …whether the entire community or few is debatable …numbers might increase as situation gets worse …the fact here is that the remaining do not co-operate in the investigations …they are against strict laws and are solely responsible for India not having POTA …they refuse to condemn Pakistan …OVERT and COVERT support and sympathy …. We think the Mumbai Police is spinning a yarn about absence of local involvement, perhaps to prevent a backlash against local Muslims. BTW, do some local Muslims still support Pak in cricket matches? Are you really that naive? Ignorance is no license to talk rubbish. Comprende? You are probably too young to know this. Many years ago (when we used to live in India), when cricket matches were held in Kashmir this issue of some Muslims supporting Pakistan in cricket matches was invariably an issue. I wasn’t rubbishing your question. I was only surprised that you would ask it since it is so well known that some ‘Indian’ muslims support Pakistan not only in cricket but all else. Actually, I only realized that after coming to the States and meeting such ‘Indian’ muslims here. The following link is connected with the Mumbai attack story and gives some interesting information of the origin of the Kashmir problem. It’s the politics again that played with everybody’s life and taking it’s toll over a period of time without an end in sight. “….In 1947, British India was partitioned between Muslims and Hindus. The law of partition, however, did not settle the future of more than five hundred semi-independent princely states, including the state of Jammu and Kashmir. The law allowed each princely state to decide for itself. Due to their geographical compulsions, most states had no choice but to join India or Pakistan. Interesting piece (from your link). Prof. Ali Khan’s four suggestions toward the end of the article seem reasonable. We’d like to add China to the last line of his second point. Yes, it’s very appropriate to include china as well. When we really go into the root causes of any of these violent activities which they see as just and the opposite side see it as terrorism are all dirty politics in play. Somebody in the history done some mistake by taking their interests selfishly, is bound to explode in unexpected ways. This is a proven outcome that we witness today. Why couldn’t the politicians and the offcials who were working at that time on the kashmir issue forsee the dangers that would befall on the future generations which they would have thought otherwise? “…Psychologists are very interested in how the mind processes events like this historic election, and how it turns them into hope and expectationâ€”or regret and disappointment. How powerfully do our experiences today shape our emotions of tomorrow? In short, what predicts future happiness? Researchers call this emotional forecasting. Humans are arguably the only animals capable of imagining what doesn’t already exist, conjuring up future scenarios. That’s a trait of our highly evolved brains, but evolution apparently stopped shortâ€”because we’re not all that talented at predicting our own state of mind. Indeed, study after study has shown that we’re usually way off the mark with our predictions. We believe that winning the lottery will make us blissful, and it rarely does. We think being jilted will devastate us, yet we almost always bounce back. What utter nonsense!! @ the Origin of the Kashmir dispute as written in the article. But what else can you expect from the terrorist’s broadcasting network? What part of the article are you referring to? We don’t want no general blah blah. Be specific. In 1947, British India was partitioned between Muslims and Hindus. The law of partition, however, did not settle the future of more than five hundred semi-independent princely states, including the state of Jammu and Kashmir. The law allowed each princely state to decide for itself. Due to their geographical compulsions, most states had no choice but to join India or Pakistan. However, a dramatic anomaly bedeviled the accession of two princely states. The predominantly Hindu state of Junagadh was ruled by a Muslim prince who opted to join Pakistan. India sent its military forces to annex Junagadh, arguing that the people, and not the prince, must decide the question of accession. Ironically, the predominantly Muslim state of Jammu and Kashmir was ruled by a Hindu prince who opted to join India. India happily accepted the princely accession. A militarily weak Pakistan could not take Jammu and Kashmir by force. A militarily strong India, which relied on the peoples’ choice to take Junagadh, has since refused to apply the same logic to settle the Kashmir dispute. You have just copied the article from Al Jazeera and exgurgitated it here. The facts seem fairly straightforward. But what is it that you find nonsensical in there? I agree with Beni here (if this is what he meant 🙂 ).. there is no reason to bring up Junagadh in that article.. Junagadh doesn’t share a common border with Pakistan. Would have been plain stupid to let that happen.. Al Jazeera, shame on you, idiots. The Kashmir dispute is too complicated for my brain.. I don’t know whose side I want to take there. Without Kashmir, the India map will look weird.. so I think I’ll side with India here. Beni hasn’t said anything so far (he may elaborate later) other than calling Al Jazeera a Terrorist broadcasting network. He just did a copy-paste from the Al Jazeera piece in his previous comment. 1. Jammu & Kashmir had not acceded to either India or Pakistan and had agreed to a stand still agreement with Pakistan. 2. Pakistan violated this agreement. In their usual fashion ( which is obvious today ), sent in underground soldiers & raiders with the intent of occupation. 3. Hari Singh begged India for protection as he couldn’t do much with the limited forces he deployed. So, Hari Singh signed over J&K to India, like India had demanded, so she could send in her troops. What you write above is factually accurate. Not in dispute at all (Although Pak might argue that raiders were not affiliated with them but no one believes it anyway). 3. Human rights abuse by Indian security forces in Kashmir, which has estranged the Muslims in Kashmir from India further. 1. I think what porari..smtg smtg agrees with is me calling the whole ‘Origin of the Kashmir dispute’ bit nonsense/junk/trash. 2. Of course, Pakistan has no clue even now about how and why ‘stateless’ forces or insurgents belonging to a hundred diff causes jump out of the sky into areas of dispute with India. 3. J & K is illegally occupied by Pakistan in many parts. Do you think it would be advantageous to India to let a plebiscite happen now or in the near future? And i’m not a he-beni, i’m a she-beni. 1. You write: J & K is illegally occupied by Pakistan in many parts. Do you think it would be advantageous to India to let a plebiscite happen now or in the near future? Pakistan & many Kashmiris feel that Indian occupation of Kashmir is illegal. It’s our conviction that if India holds a plebiscite in Kashmir now, Kashmiris will either vote for a separate country or go with Pak. That, of course, is a hypothesis because India will never hold a plebiscite. It can’t afford to take that risk. 2. Folks, hear, hear. We have a she-beni. I agree. India can’t afford to take that risk. btw, i have smtg super exciting to say. shall i say it? You write above: btw, i have smtg super exciting to say. shall i say it? We are waiting with bated breath. Or as they say in Tamil Nadu, do you want us to get out the betel leaf (Vettela pak) & invite you to say it? OH MALLU AUNTY! YIPPEE! I should have realized that she was a she when I saw that she had read Jhumpa (sp.?) Lahiri, Victoria Holt (never heard that name before.. looked her up and saw that she has a disorder — of using too many names — similar to mine ), etc. Ideally (if Pakistan stay calm after the plusbustsize or whatever that new word that i learned today is), Kashmiris would be better off with the more prosperous and less corrupt India..
You write above: OH MALLU AUNTY! YIPPEE! In the absence of any corroborating evidence, could be a Mallu grandma too. i AM a mallu grandma. Many of us here are not that young…At least, some of us are in the autumn of our earthly lives. Does this mean I need to start calling you SearchIndia Uncle? what the hell r u talking about u moron? what SRK/Ajith fan club pres.? 1. You write: Does this mean I need to start calling you SearchIndia Uncle? 2. You write: and to porari…smtg smtg: what the hell r u talking about u moron? what SRK/Ajith fan club pres.? Are you such a schmuck that you can’t recognize ÃžÃ³rarinsdÃ³ttir’s taunts are aimed at getting you to disclose some titbits (defined as tantalizing tidbits) about yourself. You ain’t no grandma, you androgynous b****. Just because your titbits hang like a grandma’s doesn’t mean you are one. what the hell is that supposed to mean? disclose what tidbits? Why is he saying that i’m an SRK/Ajith fan? and hey, how can i access your review archive easily through the main page? i do it now by clicking on ‘Web Directory’ and then on one of the links below and then on a USA channel and then on ‘Movie Reviews’. 1. You write above: Why is he saying that i’m an SRK/Ajith fan? 2. You write above: hey, how can i access your review archive easily through the main page? For the moment, try bookmarking. One of these days, we’ll provide an easy link as you suggest.